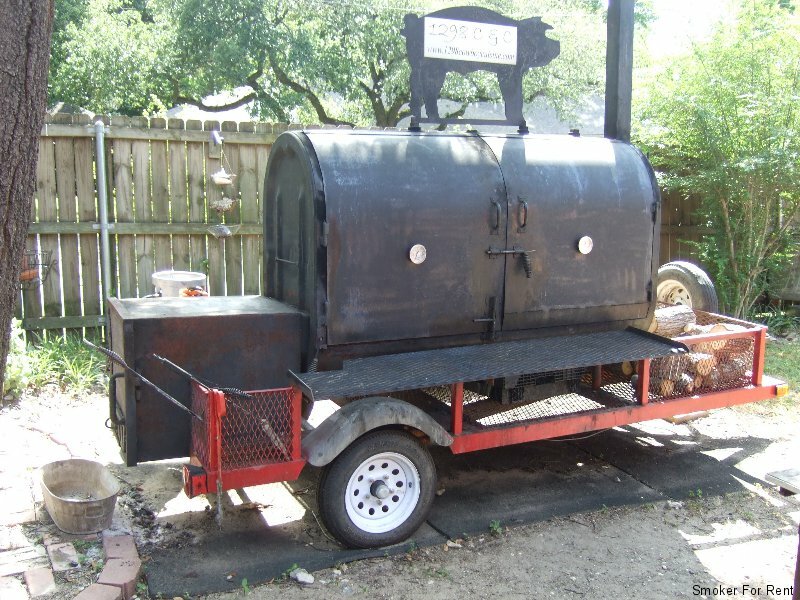 Rent this portable smoker for your weekend party, company or church gathering. This Smoker can hold as many as eight large briskets with a cook time of 6 to 8 hours. Unit has a turkey or fish fryer and 3 burners for other duties while you Bar-B-Q. Cost: $125.00 first day and $75.00 each day thereafter. Will deliver and pick-up free within 20 miles of Corsicana, TX. For deliveries over 20 miles, there is a charge of .50 cents per mile round trip. We can provide a cook at an extra charge. Call now to reserve as the calendar is filling up fast.